Welcome to www.capemeares.org. This site is the volunteer efforts of several Cape Meares residents and is sponsored by the Cape Meares Community Association (CMCA). The Mission of CMCA is shown below. The primary goal of this website is to share valuable information to our neighbors in Cape Meares about community events, meeting minutes and special notices. A section in this web site designed to provide information about emergency preparedness activities for the community. Efforts are underway to schedule Map Your Neighborhood meetings to help us deal more effectively with emergencies such as power or water outages, all the way up to disasters such as a large local earthquake and resultant tsunami. The Cape Meares Community Association (CMCA) uses a resource called MailChimp to periodically send out announcements to subscribers. These messages may be related to dates for special events that are scheduled as well as other related events. If you wish to be kept informed about matters related to Cape Meares consider signing up by clicking on the link below. Another popular communication tool that is used by many Cape Meares residents to keep informed is called Nextdoor. To use this tool it is necessary that you either be a permanent resident or part-time resident of Cape Meares. If you would like to learn more about this internet-based tool, click on the link below. A PDF reader such as Adobe Reader is required to view the document. The CMCA is a 501(c)(3) association. Contributions in support of the missions of the association may be sent in care of CMCA to 5690 Fourth St. NW, Tillamook, OR 97141. Tax ID number for CMCA is 46-5361645. 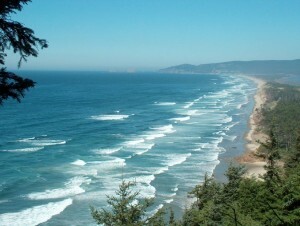 This web site is a work in progress, changing to meet the needs of the community of Cape Meares. If you would like something posted on the site, please forward your information to a CMCA Board member, who will then pass it along to the webmaster. Below you will find the names of the Board members for 2016-17 and e-mail address where each person may be reached. Are you interested in the latest weather for Cape Meares? There’s a station just at the top of our community that has instant weather information.